If you’re in the same boat and trying to figure out what gift ideas to give your family, why not try some of these? Banned Books Pouch by Out of Print. I adore how versatile these little pouches are. Need to carry pens and pencils? Done. Makeup? Yup. Random items like gum, mints, hair ties and the like that you’d rather not have rolling around in your purse? Okay. Shark week/lady time products? Definitely. This pouch is so cute and so fun. It’s a good reminder that often the most important books that push boundaries and open up conversation on controversial topics face blocks, and how necessary it is that we stand up for those books and the ideas they share. Take for instance, that Angie Thomas’ The Hate U Give was banned this week in a Texas school district (apparently without going through any kind of review process!). This book is the MOST important book of 2017. It needs to be read. My husband and I have started redoing one of the bedrooms in our house as a lovely little dual office for the two of us. We’re going to put up wallpaper on one wall and his guitars on another, and on the third big empty wall, we want to put three framed posters — the Star Wars: A New Hope poster that he bought when we were engaged and that has never been hung up, and two bookish posters. Pride and Prejudice is one of my favourite novels and the book he proposed with. 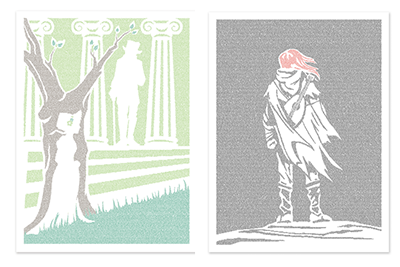 Name of the Wind by Patrick Rothfuss is one of his favourite books that he introduced me to and that I also adore. We’ll get both our kinds of nerdy in this dual office. I had to include one big ticket on this item, if only because it is so darn cool! 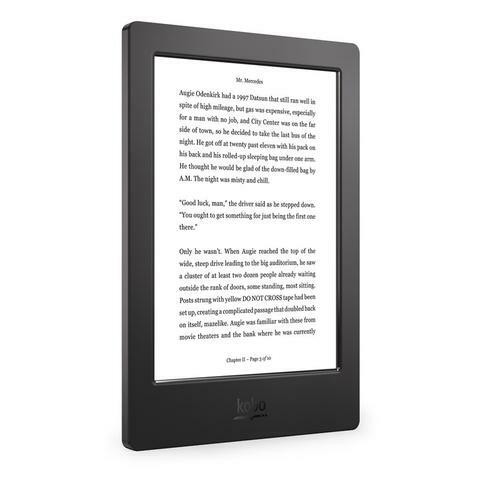 I have a Kobo Glo and there are a lot of features about it that I quite like: it’s lightweight, it’s easy to use, it makes bringing lots of books with me while travelling really easy, it is easy to hold/read with only one hand. However, at 4.5 years, it is old (as far as technology goes). It can be quite slow. And, it is a little scary to use in the bath/on the beach because it is not waterproof. At all. And this new Kobo Aura H2O is waterproof for up to 30 minutes in a metre of water! I like bubble baths. I like reading in bubble baths. But my arms get tired. And balancing a beverage on the edge of the tub is sketchy. 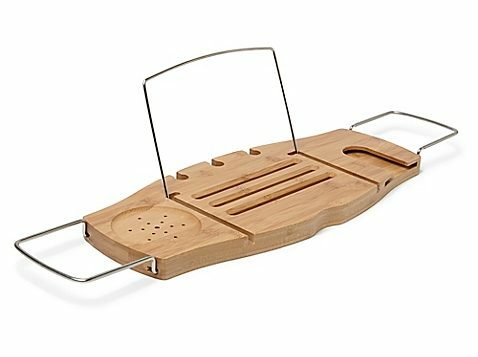 A bath tray like this one would make bubble baths that little bit more relaxing. I know there are less expensive ones out there too! 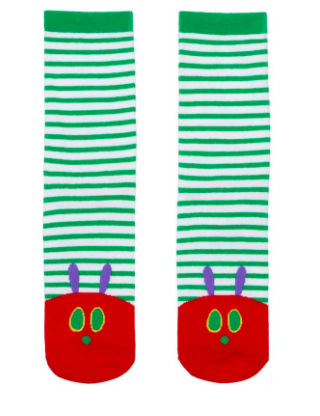 The Very Hungry Caterpillar Socks. If you’ve spent any time on my Instagram, you’ll know I really like fun socks. And cute bookish socks are even better. These The Very Hungry Caterpillar Socks bring up fond memories of one my mom’s favourite kids books to read to us. And, if you buy them , 100% of the proceeds from your purchase from this link will go toward the Calgary Public Library. 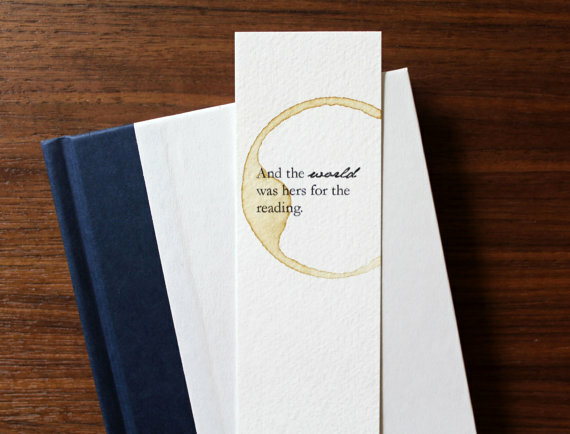 I’ve been admiring these bookmarks from Wonderflies on Etsy for ages. I love me a pretty bookmark. Especially when they are subtle and simple like these ones. I know some folks like fancy ribbon and charm bookmarks, or magnetic ones. I’ve found I don’t use those ones nearly as much as I do paper/flat bookmarks. I’ve had too many of those other ones (beautiful as they are) either fall out/get pulled out of my book in my bag, or accidentally mangle pages of my book from their weight/texture. And that’s why I love these bookmarks so much. So simple. But so, so pretty! 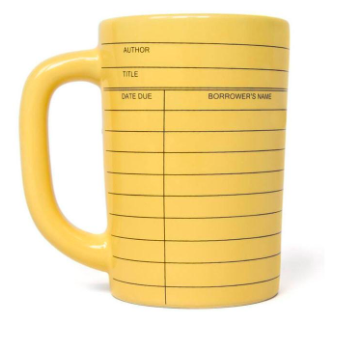 Library card mug by Out of Print. Some people might say there is such a thing of too many mugs. I disagree. Sometimes you need a mug that matches your mood. Like this one. Or this one. Or this one. Really, I need them all. To look at. Drink tea from. And, of course, take Instagram photos of. This one is also from the Library Store, so if you purchase it from this link 100% of the proceeds support my local library. * Redbubble, Society6, and Etsy are great places to look for these too. *This post isn’t sponsored. I just think the Library Store is a great way to support local libraries. I’ve realized I have a severe lack of cute tote bags in my life. I have reusable grocery store bags that I use quite often, but no cute totes to carry a change of clothes in or take a collection of library books back to the library. Bags like this one by Alphabet Bags are simple but oh-so-sweet. 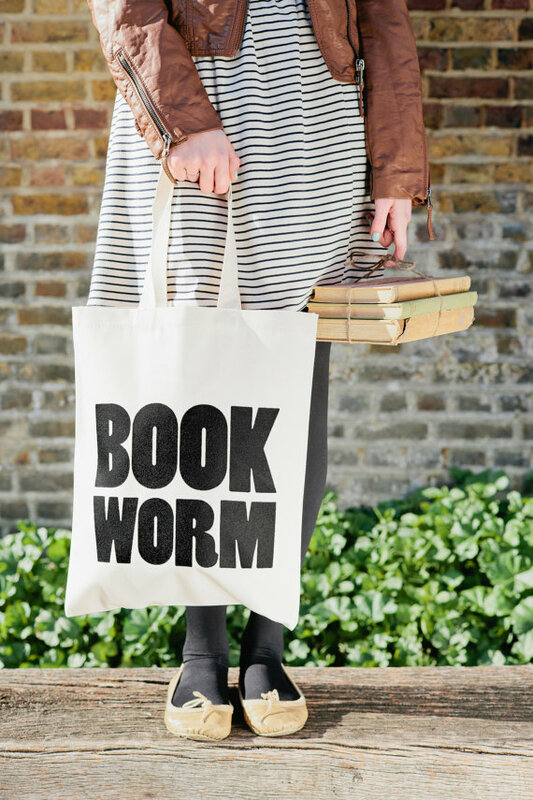 I carry a book or two with me in my giant purse every day. Sometimes, the books come out of my bag a little worse for wear. Little pouches like these cushion the books and stop the pages from getting bent. Such a good idea! 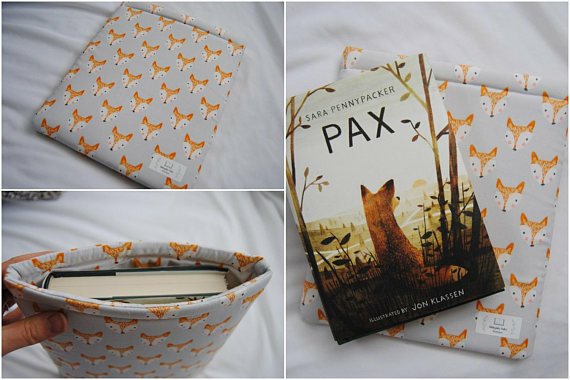 There are lots of folks making and selling these, like BiblioBelleBoutique on Etsy. What’s on your bookish Christmas wish list? I love all of these! I think the book sleeve and the lithographs are my favourites. I definitely sent this link to my mom and my husband. 😂 Feel free to do the same!